Hey there, ya’all! It’s Danielle again, from over at Busy Mom’s Helper, with another fabulous recipe to share! Have you noticed the amazing sales on strawberries lately? It seems as though every store has them for sale, and they’re actually GOOD strawberries, not the going-bad-the-second-I-get-them-home kind. 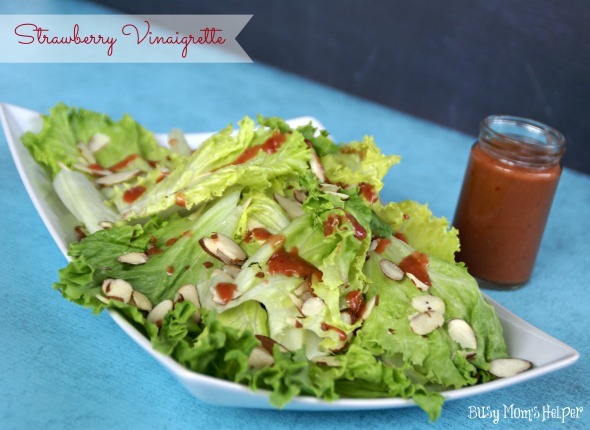 I can’t pass up good strawberries, so it’s been fun trying them in new recipes, such as this Simple Strawberry Vinaigrette. This is a beautiful vinaigrette and the only one that my kids will eat. 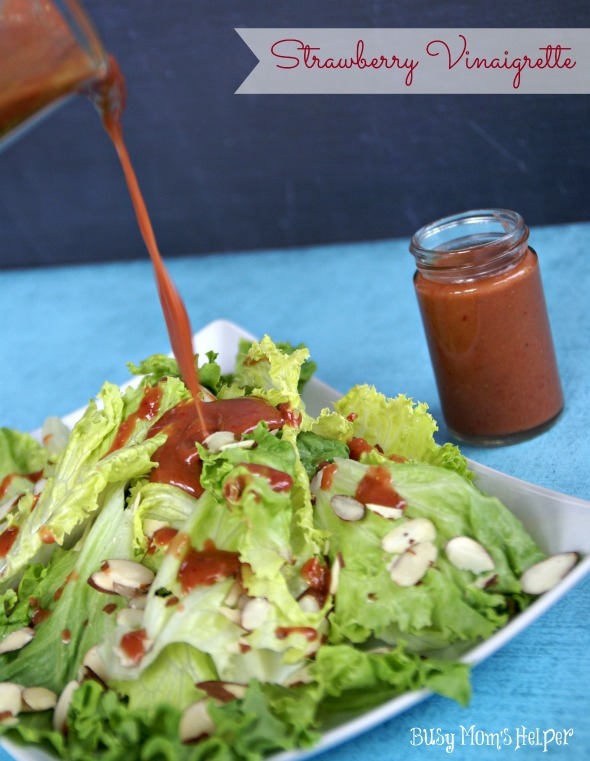 In addition this vinaigrette is a big help for me trying to lose the post baby weight. Strawberries are also great for weight loss. This dressing looks delicious, Danielle! 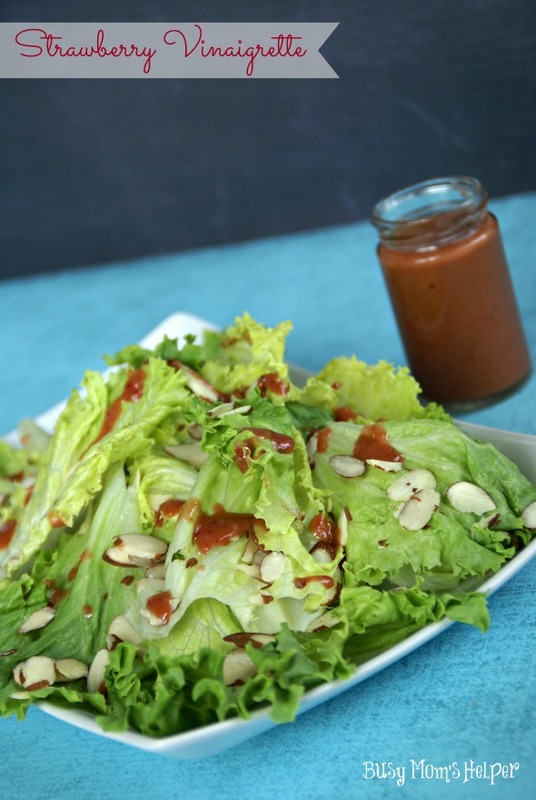 We’re having a heat wave, and salad sounds perfect for dinner!